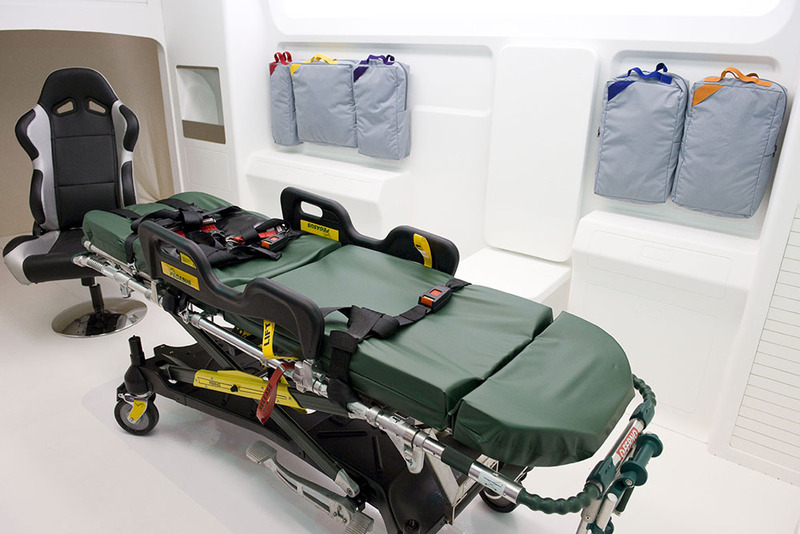 With no systematic attempt being made to define the workspace within the ambulance, vehicle interiors have evolved incrementally and storage space for equipment and consumables is arbitrary and not standardised. Matthews co-led with Harrow (RCA) an 18-month research programme funded by the Regional Innovation Fund of NHS London to redesign the treatment space of the ambulance. Through the research, co-design and evaluation process used in Working Wall (Matthews REF Output 1), the need for a modular pack solution was identified and a solution designed. Initial research with paramedic crews identified many instances of vehicle overloading and, paradoxically, instances of incomplete stocking, uncertainty about available quantities, use-by dates and location of supplies, as well as a lack of staff consultation. 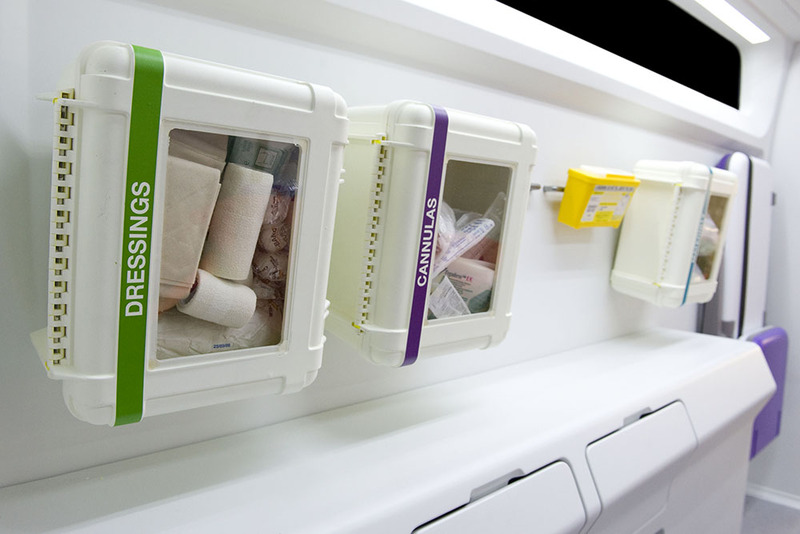 There was no standardisation of locations of equipment and consumables, leading to lost time, inefficient provision of treatments and impact on patient safety. Consumables were illogically located, with many infection-control hazards, difficult-to-clean areas and poor design. Five modular packs of medical equipment and consumables were designed, forming part of Matthews’ Working Wall system. They are checked and replenished by a Make Ready team at the ambulance station before each shift, working to a contents list defined through co-design research with front-line ambulance staff. The packs can be used in the vehicle or taken outside to deal with the patient complaints and challenges normally encountered (burns, dressings, cannulation, airways and oxygen, and maternity). 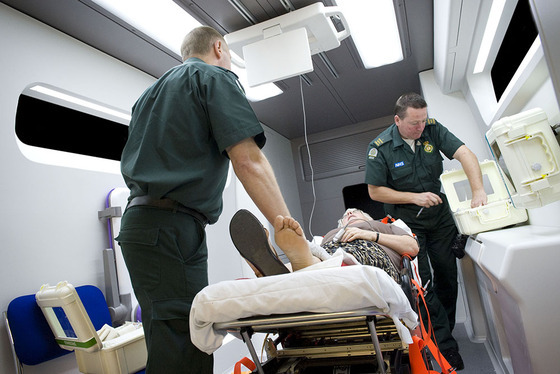 The full-size ambulance demonstrator unit with modular treatment packs was displayed at the London Design Festival (UK, 2011) and in the Design Museum’s 2012 Design of the Year exhibition (UK, 2012). Matthews presented the treatment packs at the ‘Include 2011’ conference (UK, 2011), the Institute for Healthcare Improvement 23rd annual conference (USA, 2011), and the Human Factors and Ergonomics Society of America conference (USA, 2012).